I was going to whip up a simple Plum Cake last weekend, and in my haste, I threw the sugar in with my dry ingredients instead of creaming it with softened butter. Then I thought, oh boy, here I go again. I do this kind of thing all the time. So now I'm no longer making Plum Cake, but trying to save the day and not waste whatever I've already thrown in the bowl. I followed my instincts and recreated something like a scone by adding cold butter to the mix. I moistened the eggs with applesauce. And continued improvising until what came out of the oven 45 minutes later was an incredible achievement! The most delicious muffins I've ever had. So now I think I'm onto something and I'm planning a hundred variations of muffins and muffin bread to share! 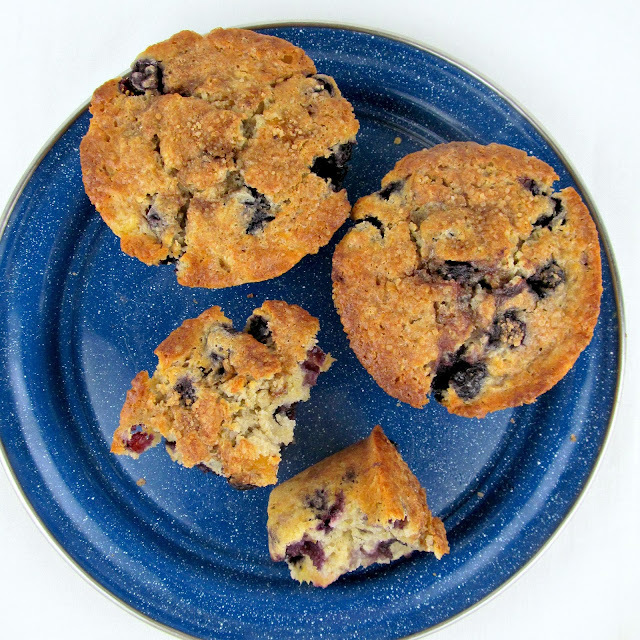 These muffins are moist and tender, kind of dense (not cake-like) and super flavorful. You will find you can enjoy them at room temperature and won't need a speck of butter to make them more palatable. They are good when slightly warm from the oven. They are better when cool, and even better when they are a day old. I was hoping for a nice mound on top, because in that case they would be strikingly similar to a fantastic coffee shop or Perkins muffin...but they ended up kind of flattish. Nonetheless, I wouldn't change a thing about this recipe...it's a keeper! Makes 6 hugs muffins. You could make smaller muffins, but will have to reduce your baking time accordingly. Prepare a jumbo 6-muffin pan with baking spray. Preheat your oven to 350F. 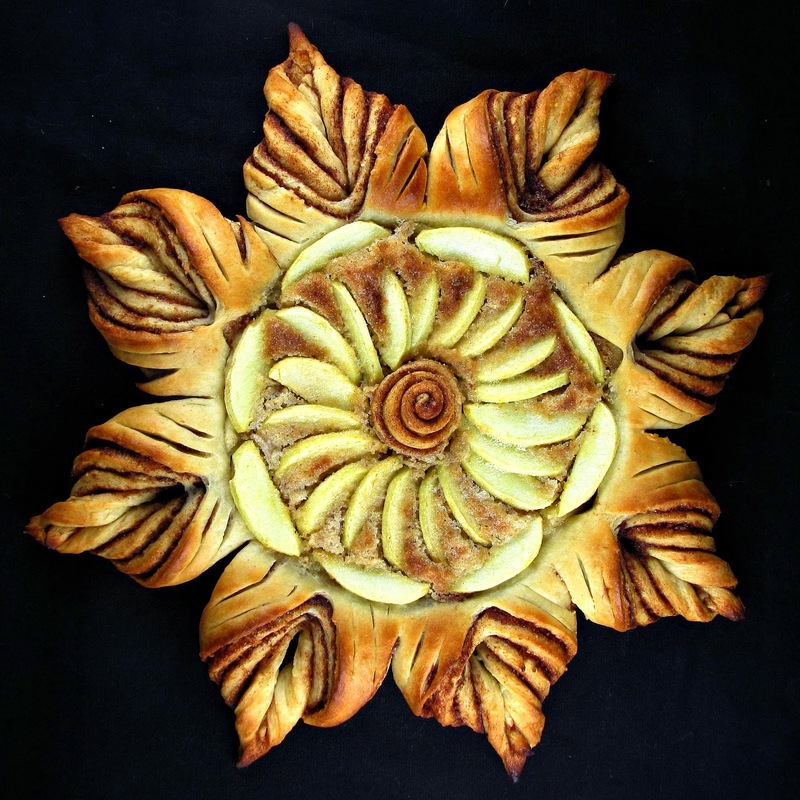 In a large mixing bowl, whisk together flour, baking powder, sugar, salt and cinnamon. Using a cheese grater, grated cold butter directly into the dry mix. Toss with your fingers to coat the butter with flour and break it quickly into course crumbs. In a small mixing bowl, combine eggs and applesauce. Whisk or mix on medium until combined. Fold the wet mix into the dry just until most of the flour is picked up. Stir in blueberries until evenly combined. The batter will be quite thick. 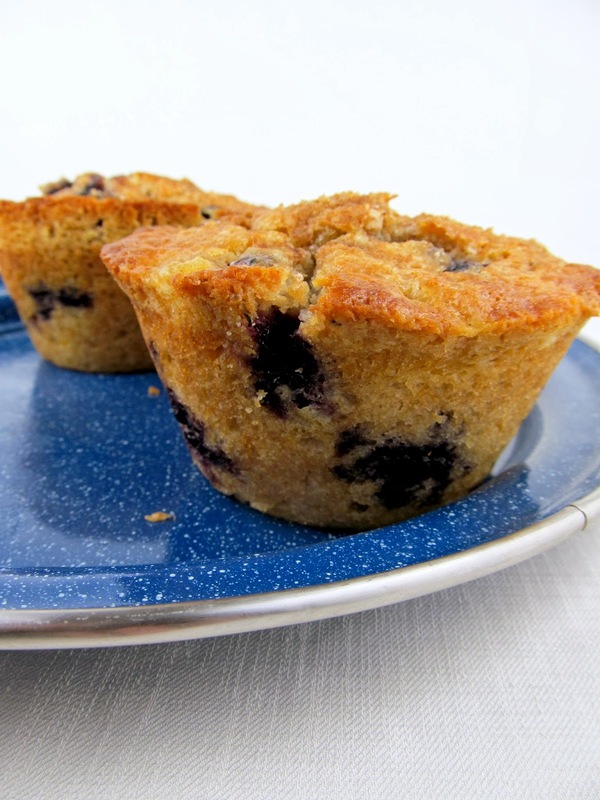 Spoon the batter into your prepared pan (each muffin cup will be nearly full). Combine 1/2 teaspoon cinnamon and raw sugar. Sprinkle muffin tops with cinnamon and sugar. 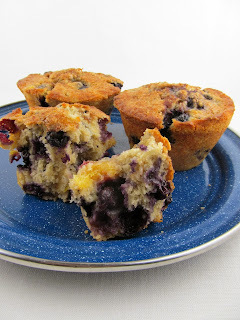 Bake for 45 to 50 minutes or until a skewer inserted into the center of the muffin comes out clean. Cool completely before serving. Keep covered at room temperature and eat within several days.